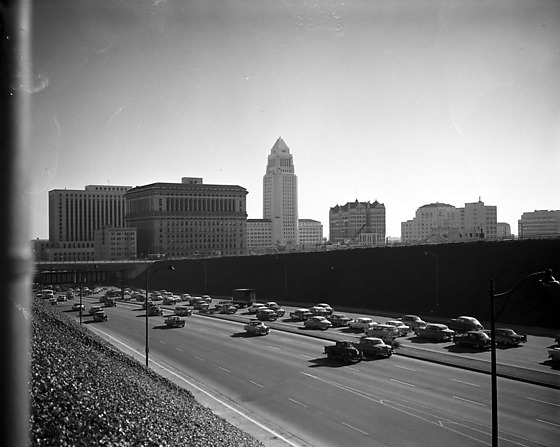 Los Angeles City Hall and newly constructed Hollywood freeway in Los Angeles, California, December 1956. 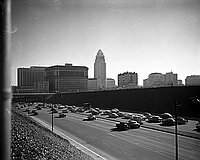 Shows cars driving on freeway with city hall in background and building construction with city hall in distance. Typed on original negative envelope: Civic Center -- New Year. Photograph taken for the Rafu Shimpo's holiday issue (English section).